New and some of the best Torrent9 alternatives to download free movies in 2018 are talked about in this article in detail. Torrent9 is one of the most reliable torrent websites that has gained immense popularity in recent years. Due to its simplicity and a humungous collection of torrent files, Torrent9 outperforms many popular torrent sites in multiple aspects. So without further ado, these are some of the best Torrent9 alternatives. The first and one of the most reliable Torrent9 alternative on the list is 1337X. This well-developed torrent site has an extensive collection of torrent files and magnet links. 1337x allows users to share the best torrent files for free download. Content on 1337X is very well categorized into different sections like music, software, movies, and much more. The next secure torrent site to download free movies is Kickass Torrents (Katcr). This new website is developed by a group of original KickassTorrent staff members. Kickass Torrents has a clean and easy to navigate UI. Similar to Torrent9, content on Kickass Torrents is organized into different categories like Movies, TV shows, Music, Games, Applications and much more. Lastly, filter tools like categories, sub-categories, and interval make searching content on katcr.co fairly simple. 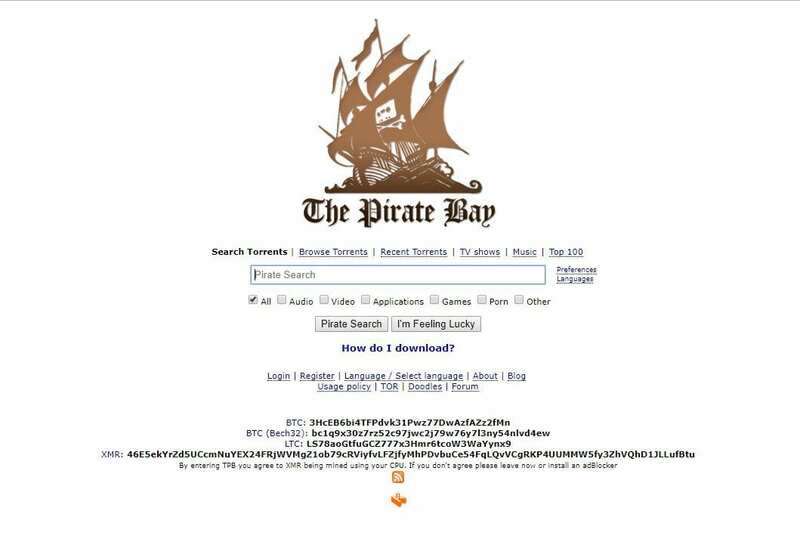 The Pirate Bay is an immensely popular feature-rich torrent site. This Torrent9 alternative offers verified torrents from different categories like Movies, TV shows, Games, Software and much more. The Pirate Bay has a minimal UI and you can only find a simple search bar on its homepage. The Top 100 section displays the most popular torrents and this list is updated on regular basis. It is worth noting that, The Pirate Bay is blocked in many countries and regions. So you can check out the Best Pirate Bay alternatives. Zooqle is a perfect Torrent9 alternative for movie enthusiasts. The well-developed UI of Zooqle helps the website to stand out from the crowd. Unlike, other websites on the list Zooqle only offers movies and TV shows. Zooqle also displays detailed information like cast, directors, and release dates for every movie or TV show on the site. Zooqle offers a simple one-click download option and the ability to choose video quality is helpful as well. Lastly, Zooqle also displays the recently uploaded movies and TV shows on its homepage. YTS is another Torrent9 alternative, that is immensely popular among movie enthusiasts. Using YTS you can easily download an extensive collection of many famous and exclusive movies available in 720p, 1080p, and 3D quality. 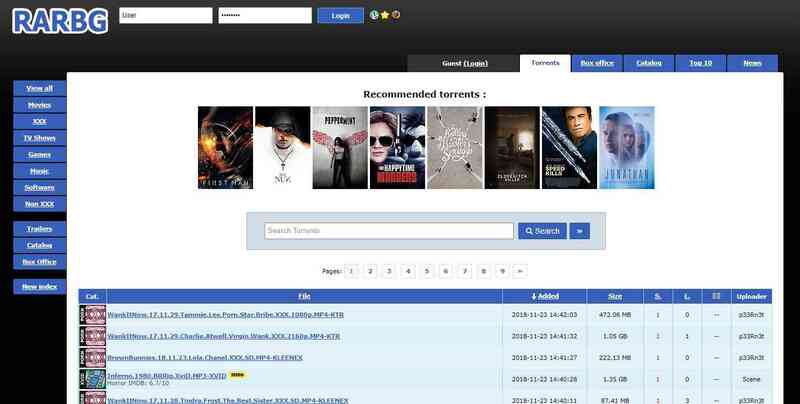 Similar to Torrent9, YTS has a very well-developed UI that makes searching and exploring movies fairly simple. YTS also provides detailed information like cast names, trailers, and synopsis for different movies. Unlike, other Torrent9 alternatives you won’t be able to find anything except movie torrents on YTS. The next perfect Torrent9 alternative on the list is RARBG. Similar to Torrent9, RARBG also has a humungous collection of torrent files and magnet links. Content on RARBG is very well segregated into different sections like Movies, Games, e-books and much more. RARBG has a very simple and easy to navigate UI and the website only lists verified torrents. Lastly, RARBG also has a dedicated section for torrent based news. Torlock is one among many few torrent sites that only list verified torrents. Consequently, you won’t find any fake torrent content on Torlock. This popular Torrent9 alternative displays some of the most popular torrents on its homepage. Similar to other Torrent9 alternatives, content on Torlock is very well organized into different sections like Movies, TV shows, Games, E-books, and much more. As for downsides, advertisements on Torlock may annoy some users. The next best Torrent9 alternative on the list is SeedPeer. Similar to Torrent9, SeedPeer also has a very well-developed UI that makes searching appropriate torrents fairly simple. SeedPeer displays the age, size, seeds, peers, and health for every torrent file. SeedPeer also features the new torrents from the past 48 hours on its homepage. Content on SeedPeer is also segregated in different categories. It is worth noting that, SeedPeer is actually the renamed version of the popular decade-old torrent website Meganova. The next best Torrent9 alternative on the list is EZTV. The UI of EZTV seems to be outdated but still, EZTV is a feature-rich torrent site. EZTV has an extensive collection of exclusive movies, music, and TV shows. In addition to that, the website also displays the latest torrent news on its homepage. Overall EZTV is a perfect torrent site for media enthusiasts. The last Torrent9 alternative on the site is relatively new, but due to its nifty features, it has gained some popularity. LimeTorrents offers verified one-click torrents downloads. Similar to other Torrent9 alternatives, content on LimeTorrents is organized into different sections like movies, games, music, anime, TV shows, and software. Users are advised not to use any unknown Torrent9 mirror or Torrent9 proxy as they may ask for credit card details or even can serve malware or adware. In fact, the copyright holder may even take legal actions against you. This comes under the category of pirated content. So these were some of the best Torrent9 alternatives that are worth checking out. Do share any other personal recommendations in the comments section below.